I’ve spoken about this fun, frightful and fearful little volume before, but it very definitely deserves another mention, and a readership – especially as my contributor’s copy dropped through the door this morning! 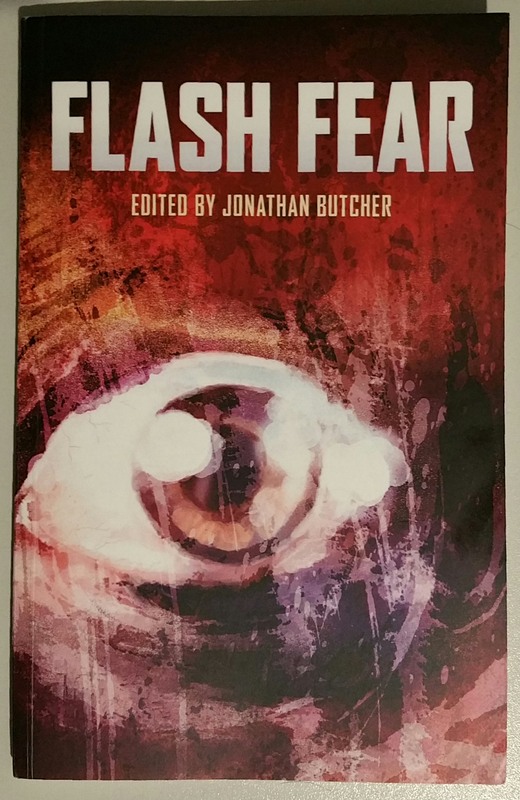 Flash Fear is an anthology of twenty-four prime examples of ‘flash’ (up to 500 words per story) horror or, as the publisher says, dark fiction, edited by Jonathan Butcher and published by Theresa Derwin’s imprint Quantum Corsets of Birmingham, England. The striking cover design is by Alex Storer. Just to whet your whistle, here are the first few paragraphs. Sounds like the end, I know, but for me it’s a bit of an anticlimax. Certainly, all I had expected was a wet weekend in Whitby, maybe a few good pints of real ale, some of those legendary fish and chips, and hopefully a set of suitable pictures in the camera by Sunday night. Instead, here I am, horizontally challenged, six feet under and nowhere to go. It all started with that odd letter; some fellow writing a biography of Bram Stoker had seen my work on the Gothick Times website and wanted to commission me to take pictures for the book. I’d written and illustrated an article on Stoker’s visit to my home town of Walsall, a century ago this October. I’d included some spooky images of Whitby, where Stoker had written ‘Dracula’, and the writer said he’d admired them very much. Flattered, I’d been only too happy to accept his invitation to travel up to Whitby again, and discuss a proposal to work together on the book. Great, I thought – publication in the real world at last! 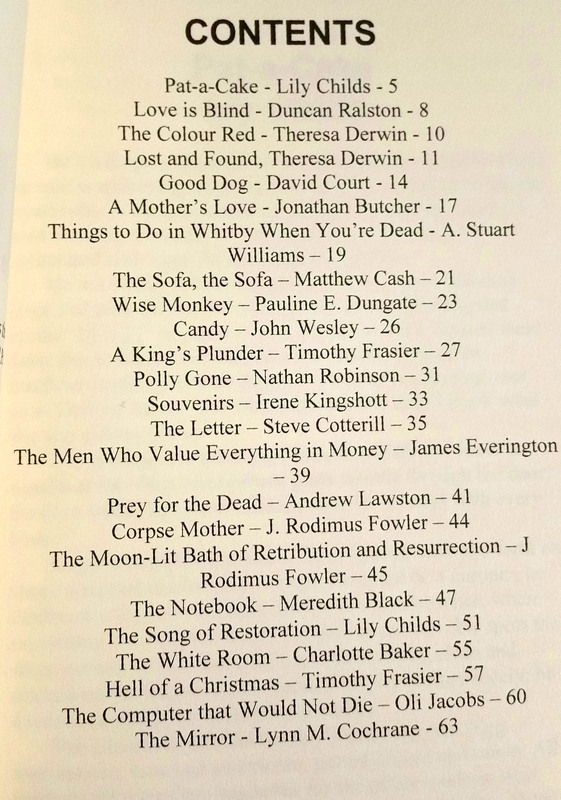 I’ve not had chance to read most of the other stories yet, but what I have read bodes well for the rest, so I’ll have to pen a review when I have time. Click on the thumbnails below for the contents list and the back cover blurb (nice to get a name check there too!). Anyway, if this book sounds like being up your scared-to-death street, why not pop along to Amazon and buy a copy? And please give us a review, it means a lot. 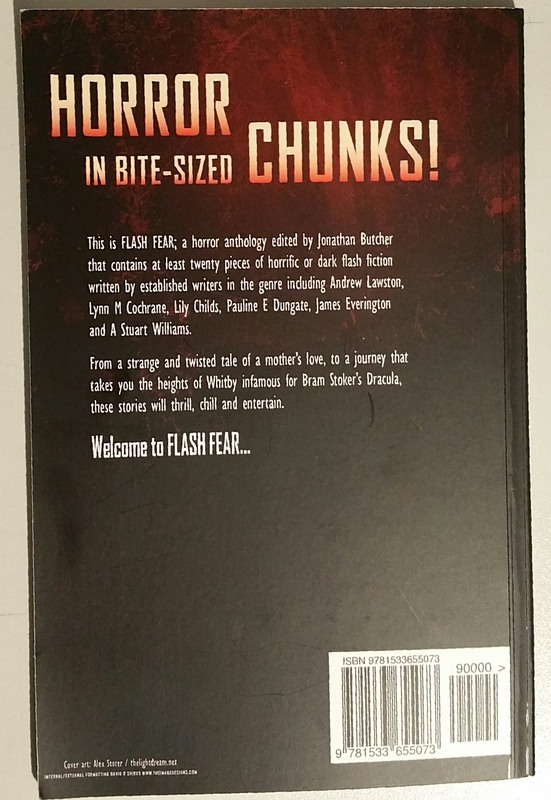 Flash Fear is currently £3.50 plus postage in paperback format, £1.49 Kindle or amazingly, you can read it for free at the moment if you’re a subscriber to Kindle Unlimited! Click on the link to Amazon: FLASH FEAR or to QUANTUM CORSETS who are also on Facebook.